Harrogate is a spa town in North Yorkshire, England. Historically in the West Riding of Yorkshire, the town is a tourist destination and its visitor attractions include its spa waters and RHS Harlow Carr gardens. 13 miles (21 km) away from the town centre is the Yorkshire Dales national park and the Nidderdale AONB. Harrogate grew out of two smaller settlements, High Harrogate and Low Harrogate, in the 17th century. Since 2013, polls have consistently voted the town as "the happiest place to live" in Britain. Juan Manuel Fangio Déramo, nicknamed El Chueco or El Maestro, was an Argentine racing car driver. He dominated the first decade of Formula One racing, winning the World Drivers' Championship five times. John Michael Hawthorn was a British racing driver. He became the United Kingdom's first Formula One World Champion driver in 1958, whereupon he announced his retirement, having been profoundly affected by the death of his teammate and friend Peter Collins two months earlier in the 1958 German Grand Prix. Hawthorn also won the 1955 24 Hours of Le Mans, but was haunted by his involvement in the disastrous crash that marred the race. Hawthorn died in a road accident three months after retiring; he was allegedly suffering from a terminal illness at the time. Alberto Ascari was an Italian racing driver and twice Formula One World Champion. He was a multitalented racer who competed in motorcycle racing before switching to cars. Ascari won consecutive world titles in 1952 and 1953 for Scuderia Ferrari. He was the team's first World Champion and the last Italian to date to win the title. This was sandwiched an appearance in the Indianapolis 500 in 1952. Ascari also won the Mille Miglia in 1954. Ascari was noted for the careful precision and finely-judged accuracy that made him one of the safest drivers in a most dangerous era. Ascari remains along with Michael Schumacher Ferrari's only back-to-back World Champions, and he is also Ferrari's sole Italian champion. Sir Stirling Craufurd Moss, is a British former Formula One racing driver. An inductee into the International Motorsports Hall of Fame, he won 212 of the 529 races he entered across several categories of competition and has been described as "the greatest driver never to win the World Championship". In a seven-year span between 1955 and 1961 Moss finished as championship runner-up four times and third the other three. George Edgar Abecassis, DFC was a British racing driver, and co-founder of the HWM Formula One team. Masten Gregory was an American racing driver. He raced in Formula One between 1957 and 1965, participating in 43 World Championship races, and numerous non-Championship races. Peter John Collins was a British racing driver. He was killed in the 1958 German Grand Prix, just weeks after winning the RAC British Grand Prix. He started his career as a 17-year-old in 1949, impressing in Formula 3 races, finishing third in the 1951 Autosport National Formula 3 Championship. 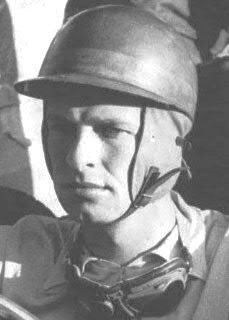 Roy Francesco Salvadori was a British racing driver and team manager. He was born in Dovercourt, Essex, to parents of Italian descent. He graduated to Formula One by 1952 and competed regularly until 1962 for a succession of teams including Cooper, Vanwall, BRM, Aston Martin and Connaught. Also a competitor in other formulae, he won the 1959 24 Heures du Mans in an Aston Martin with co-driver Carroll Shelby. James Duncan Hamilton. His colourful and extrovert personality often overshadowed his genuine talent. After fighting in, and surviving the Second World War, he vowed to live life to the full and took up motor sport. Although adept in single-seaters, sportscars was where he enjoyed most success, winning the 1953 24 Heures du Mans, two Coupe de Paris events, and the 12 heures internationals Reims race in 1956. After he retired in 1958, Duncan ran a garage in Bagshot, Surrey for many years, until his death in 1994, after losing his battle against lung cancer. Ian Macpherson M. Stewart was a British racing driver. Frederick Anthony Owen "Tony" Gaze, was an Australian fighter pilot and racing driver. He flew with the Royal Air Force in the Second World War, was a flying ace credited with 12.5 confirmed victories, and later enjoyed a successful racing career in the UK, Europe and Australia. Peter Nield Whitehead was a British racing driver. He was born in Menston, Yorkshire and was killed in an accident at Lasalle, France, during the Tour de France endurance race. A cultured, knowledgeable and well-travelled racer, he was excellent in sports cars. He won the 1938 Australian Grand Prix, which along with a 24 Heures du Mans win in 1951, probably was his finest achievement, but he also won two 12 Heures internationales de Reims events. He was a regular entrant, mostly for Peter Walker and Graham Whitehead, his half-brother. His death in 1958 ended a career that started in 1935 – however, he was lucky to survive an air crash in 1948. Reginald Harold Haslam Parnell was a racing driver and team manager from Derby, England. He participated in seven Formula One World Championship Grands Prix, achieving one podium, and scoring a total of nine championship points. Richard James David "Dickie" Attwood is a British motor racing driver, from England. During his career he raced for the BRM, Lotus and Cooper Formula One teams. He competed in 17 World Championship Grands Prix, achieved one podium and scored a total of 11 championship points. He was also a successful sports car racing driver and won the 1970 24 Hours of Le Mans race, driving a Porsche 917, the first of Porsche's record 19 victories at the famous race. Eric David Thompson was a British motor racing driver, book dealer and insurance broker. He participated in sports car racing between 1949 and 1955 taking his greatest success by finishing third in the 1951 Les 24 Heures du Mans and took part in the 1952 RAC British Grand Prix. Count Giannino Marzotto was an Italian racing driver and entrepreneur. Marzotto served as President of the Mille Miglia Club, and twice winner of race in 1950 and 1953. Tom Cole was a British racing driver, who raced on an American racing license, who made a name for himself in the early 1950s, but paid the ultimate price for his love of motorsport. Enrico Anselmi was an Italian racing driver, who made a name for himself racing Lancias in the early 1950s. Michael Thomas Salmon was a British racing driver from England who competed in the 24 Hours of Le Mans between 1962 and 1984. He was also active in the British Saloon Car Championship and the World and European Endurance championships. 1 2 3 Small, Steve (1994). The Guinness Complete Grand Prix Who's Who. Guinness. p. 400. ISBN 0851127029. ↑ "World Sports Racing Prototypes - British International Races 1952". WSRP. Retrieved 12 March 2015. 1 2 Galpin, Darren. "1951 Formula Libre Races". teamdan.com. Retrieved 14 November 2016. 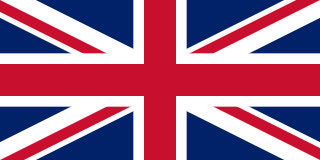 ↑ "1951 Non-World Championship Formula One Races". silhouet.com. Retrieved 14 November 2016. ↑ "Goodwood 9 Hours 1952 - Race Results - Racing Sports Cars". racingsportscars.com. Retrieved 14 November 2016. ↑ "GP des Frontières 1956 - Race Results - Racing Sports Cars". racingsportscars.com. Retrieved 14 November 2016. ↑ "Whitsun Trophy Goodwood 1958 - Race Results - Racing Sports Cars". racingsportscars.com. Retrieved 14 November 2016. ↑ "Eläintarhanajo 1958 - Race Results - Racing Sports Cars". racingsportscars.com. Retrieved 14 November 2016. ↑ "Le Mans 24 Hours 1958 - Race Results - Racing Sports Cars". racingsportscars.com. Retrieved 14 November 2016. ↑ "Eläintarhanajo 1959 - Race Results - Racing Sports Cars". racingsportscars.com. Retrieved 14 November 2016. ↑ "Eläintarhanajo 1960 - Race Results - Racing Sports Cars". racingsportscars.com. Retrieved 14 November 2016. ↑ "GP Angola 1960 - Race Results - Racing Sports Cars". racingsportscars.com. Retrieved 14 November 2016. ↑ "Lombank Trophy Snetterton 1961 - Race Results - Racing Sports Cars". racingsportscars.com. Retrieved 14 November 2016. ↑ "GP Spa [GT+2.0] 1961 - Race Results - Racing Sports Cars". racingsportscars.com. Retrieved 14 November 2016.